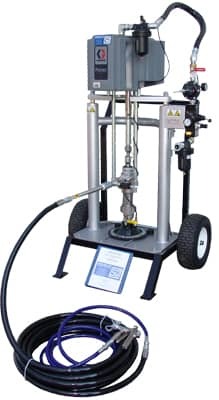 Fireproofing Spray Equipment | Spray Quip, Inc.
Spray-Quip is leading provider of the highest quality fireproofing spray equipment for passive fire protection (PFP) systems. PFP is one of the three essential components of structural fire protection and fire safety in a building. It is the compartmentalization of the building as a whole through means of fire-resistant doors, walls and floors that are organized into sections. This aims to contain fires and to prevent them from spreading, which in turn limits fire damage as well as provides more time for emergency evacuation. Contrary to active fire protection, PFP does not typically require electronic activation or a degree of motion; it is given its name because it remains inactive throughout the coating system until a fire arises. As the fire protection and prevention code standards have become more stringent, demands on quality fireproofing systems have increased. In order to prevent the spread of a fire to different areas of a building once it has started, all requirements by fire insurance regulations and building codes state that compartmentalization fireproofing is needed. 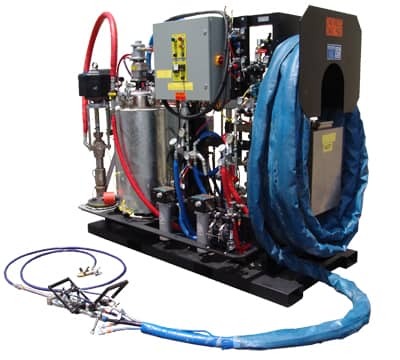 At Spray-Quip, we have parts, hoses, spray guns, tips and accessories provided by trusted brands including Binks, Graco and others.